As millions of local and international fans are anticipating the upcoming boxing match between Manny Pacquiao and Adrien Broner for the WBA (Regular) welterweight championship in Las Vegas, Nevada this Saturday, January 19 (Sunday, January 20 in Philippine time), the Filipino supporters of the people’s champ are clambering their ways to show their love for him. 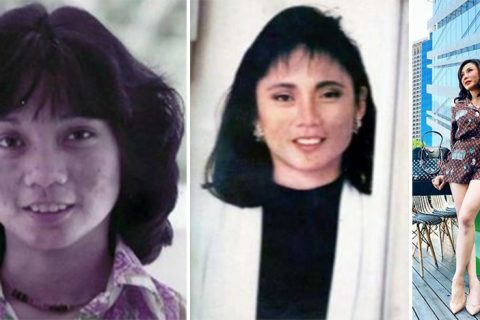 Filipinos all over the country and abroad are keeping their fingers crossed that the Fighting Senator still has the ability to win over his much younger opponent. 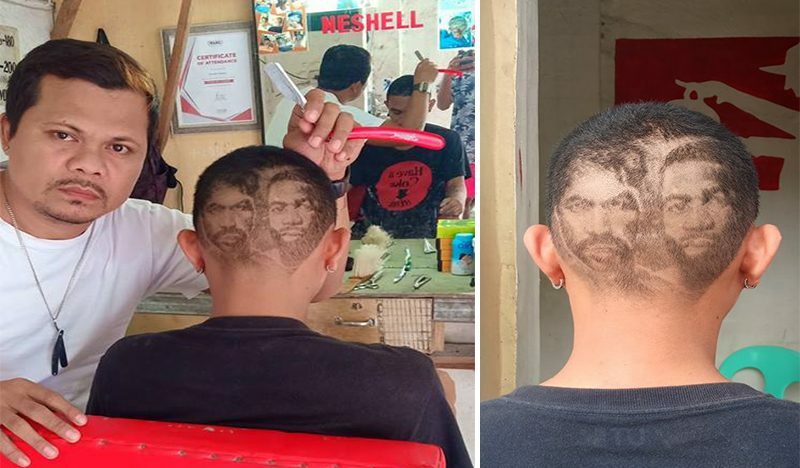 Meanwhile, one of Pacquiao’s fans went to a barbershop and asked to create hair art while copying the “Pacquiao vs Broner” poster on his head. Everyone was pretty much impressed with how great the result was! Good thing the fan was lucky to stumble upon the most incredible barber that the online world has ever seen so far. Hailing from Cebu City, Neshell Davalos owns a pair of #GiftedHands – the exact same reason why he was able to recreate the “Pacquiao vs Broner” poster on the man’s head. At first glance, one would think that the black-and-white version of the poster was actually printed and pasted right on the guy’s head! The details of the hair art were so amazing that it’s hard to think you’re looking at actual human hair, not unless you inspect it on a closer perspective. Many netizens were raving about how Davalos managed to meticulously capture every detail including both of the boxers’ serious facial expressions. A lot of them were hoping they would be able to meet him one day and maybe have some other arts done on their heads as well. As it turned out, the “Pacquiao vs Broner” poster hair art was not the first hair art done by Davalos. Prior to the viral post, he has actually done lots of impressive hair arts in the past including creating the image of Sto. Niño on a devotee’s head just in time for the Sinulog festival!